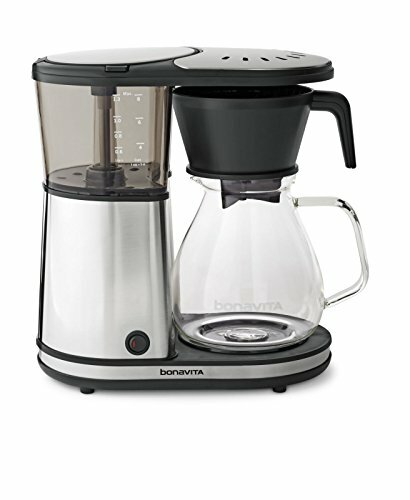 This brewer provides the optimal water temperature, contact time and coffee saturation to brew a perfect pot. A pre-infusion cycle evenly saturates the ground coffee before brewing, an essential step for obtaining the finest flavor from the beans. Length: 12.60" Width: 6.80" Height: 12.20"
If you have any questions about this product by Bonavita, contact us by completing and submitting the form below. If you are looking for a specif part number, please include it with your message.